My version of a Pumpkin Spice Latte. Starbucks. The 'Bux. SB. Whatever you call it, it can be deadly to any attempt at being healthy, especially if that healthy attempt includes avoiding anything processed. I did my time as a Bux Barista, and the first thing I learned was how much SUGAR is in everything! Now I'm not saying you can't have a pumpkin spice latte here and there, but the people who do it every day are on the fast track to diabetes. "But I love my pumpkin spice latte!" you say. Oh don't worry, so do I. But working there taught me something else: ways to have your pumpkin spice without crashing from a sugar-high-gone-wrong 15 minutes later. After all, don't we drink coffee to wake up? So here are my tips to conquering the 'bux, staving off the sugar, keepin' it au natural while still satisfying the caffeine-crazy you are. Option one: Fill your mug halfway with coffee. Fill the other half with hot unprocessed milk of your choice. Sprinkle in a healthy amount of cinnamon and nutmeg. Drink up! Option two: Fill your mug with hot unprocessed milk. 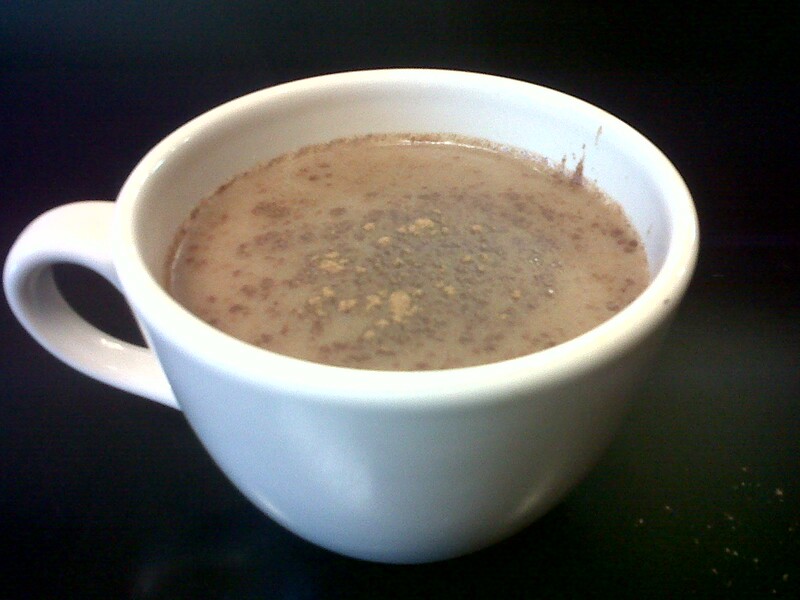 Mix in one instant coffee packet. Add cinnamon and nutmeg. Drink up! *This one tastes a little more latte-y since there is a higher ratio of milk. Now I get that the above may be a little too coffee-y for people who claim to love coffee but totally don't like the flavor of the coffee itself. Fear not! You can still order something at Starbucks! Here's how to get the flavor but cut out a bit of the bad stuff. *Disclaimer: the below suggestions are not unprocessed, just better for you. You want to order a LATTE. Instead order a MISTO or CAPPUCINO. Latte's are a full cup of milk with a couple espresso shots. Misto's are drip coffe with steamed milk added in, and use only 1/4-1/2 cup of milk. Cappucino's, on the other hand, still use the espresso shots like a latte, but the milk is extra foamy so you end up only getting about 1/2-3/4 cup of milk. 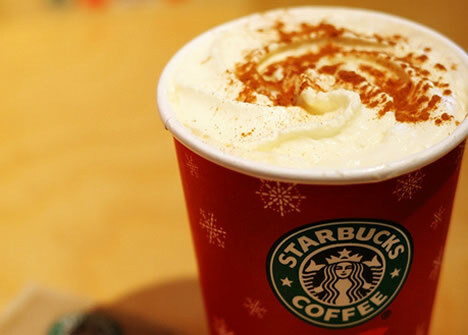 You want to order a PUMPKIN SPICE (or other flavor) LATTE. Instead order a MISTO with added flavor. 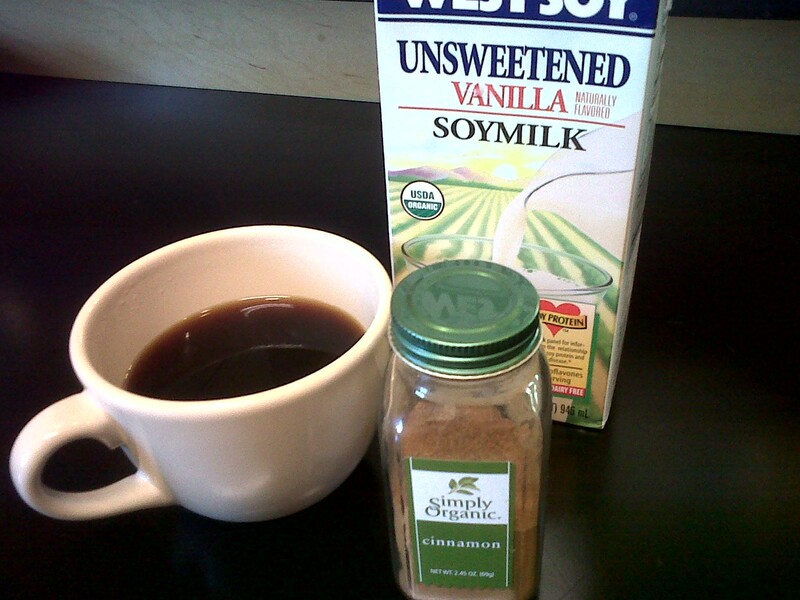 A flavored latte not only fills your cup with milk, it also fills it with sugary syrup. I love to rplace my flavored latte order by getting a coffee misto (coffee with steamed milk) and adding 1 pump Pumpkin Spice syrup. This cuts the calories and sugar drastically. And you still get that awesome pumpkin flavor. If that's too much of a change for you, go for a tall (small) latte, and ask for only one pump of syrup to cut the sugar. You want to order a GREEN TEA LATTE. Do it, but switch up your sweetener. Green Tea Latte's profess to be healthy - protein from the milk, health benefits of matcha powder. What you might not know is the recipe also calls for multiple pumps of the Starbucks Classic Sweetener, aka sugar central. If you're ordering the GTL for the love of matcha, go sweetener free! If you still need a bit of sweetness, mix in a raw sugar packet, ask for only 1 pump, or ask for Sugar Free Vanilla sweetner instead. Or, get it with soy milk. 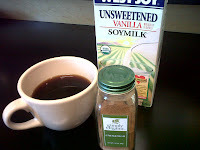 Starbucks manufactures their own soy milk, and while it may have some sugar in there (less than the syrup! ), it's organic and chock full of protein. Oh, and as a final note? Do you realllllly need to get the whipped cream? Wanna know how we make it? Fill a whipped cream can with heavy whipping cream. Add a bajillion pumps of full-sugar vanilla syrup. Just say no.